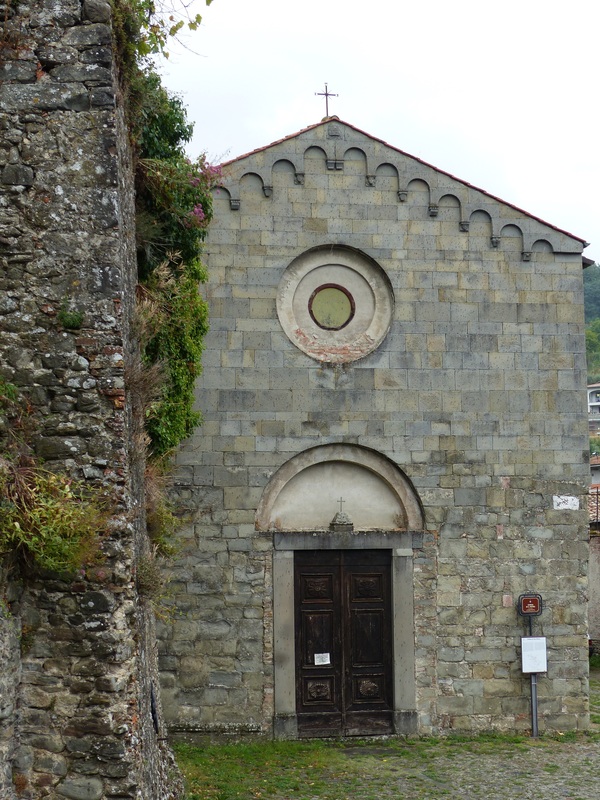 After I left Pieve Fosciana I drove a little further on to Castiglione di Garfagnana which sits at 545 metres above the Esarulo River, a tributary of the Serchio River. 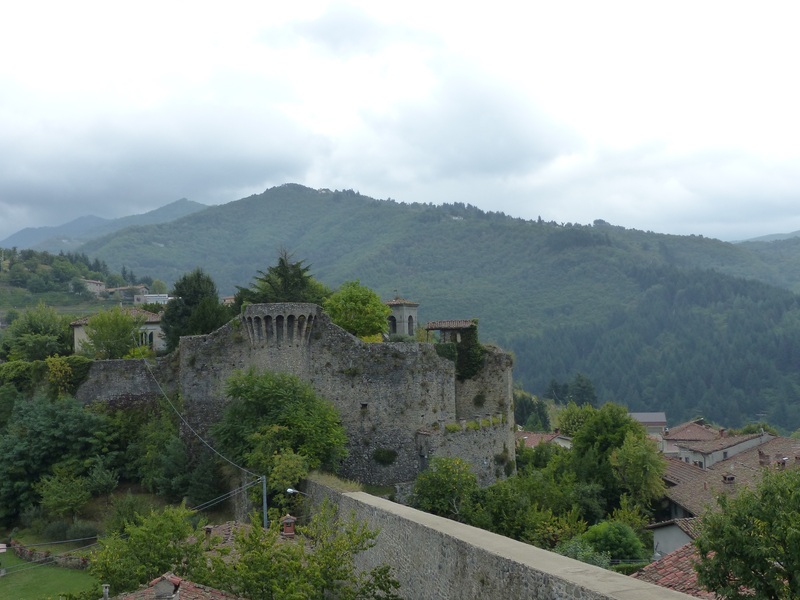 The town dates back to a Roman Castra, called Castrum Leonis (Lion’s Castle), built to oversee the valley that leads to the San Pelligrino Pass. The castle was built between1170 and 1227. 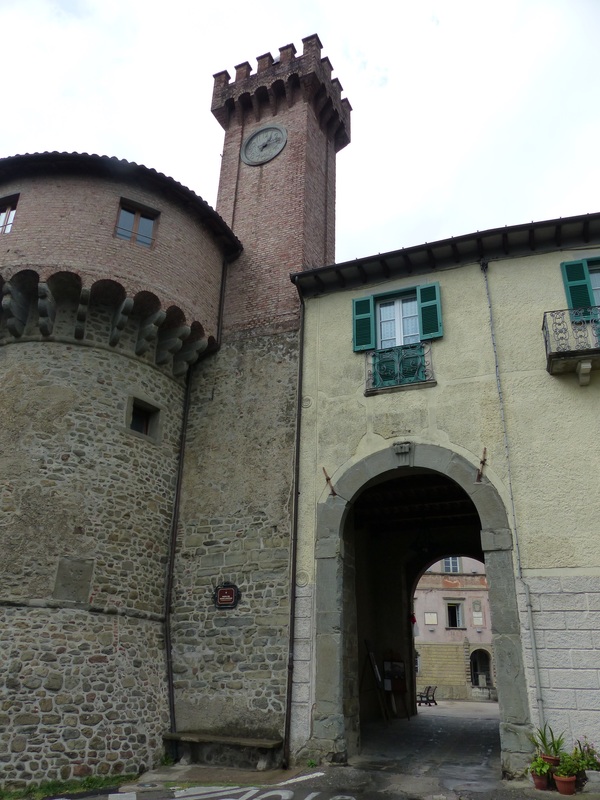 It became Lucca’s most important garrison in the Serchio valley. 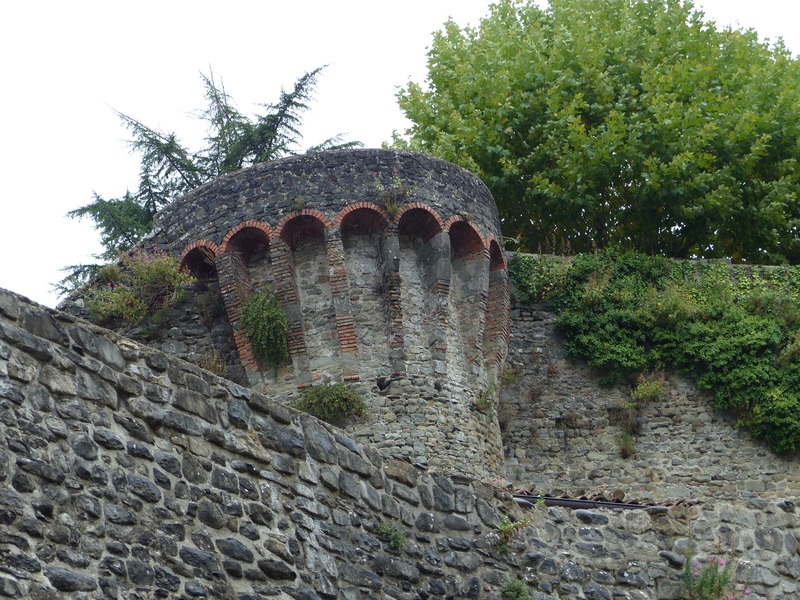 In 1390 the “Rocca” or castle was extended and towers were built. 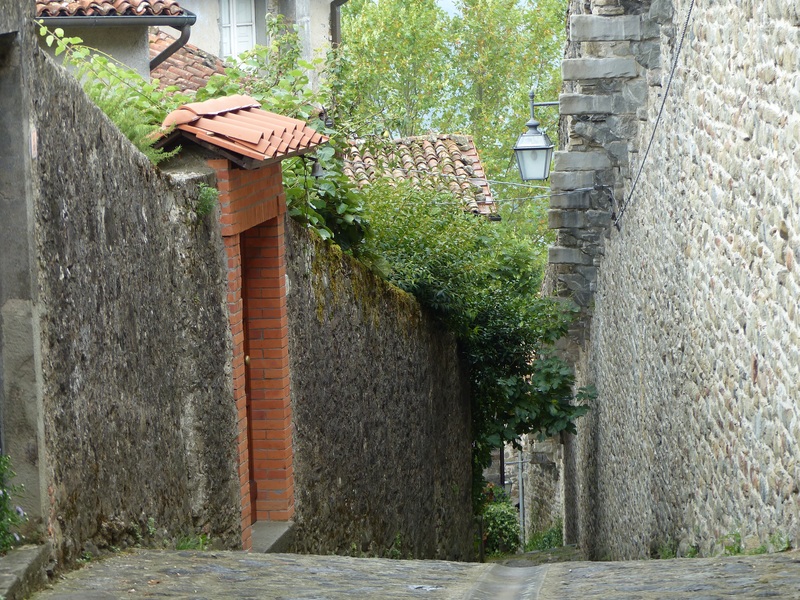 Some of the Rocca remains and you can walk through the narrow streets of the town to the top. There is a road around the edge of the town outside the wall, offering excellent views of the castle and the surrounding countryside. I entered the town through the Porta del Ponte Levatoio. It was mid afternoon and the town was deserted, leaving me to wander alone. I went up into the old castle for some gorgeous views over the town. Coming down from the top I came across the Church of San Pietro which was built in 723 by 2 Lombard brothers, but was rebuilt in the 12th century by Bishop Guido of Lucca. I walked on through the pretty streets as it began to rain. I will return when the town is a bit busier, I am sure there is more to discover. 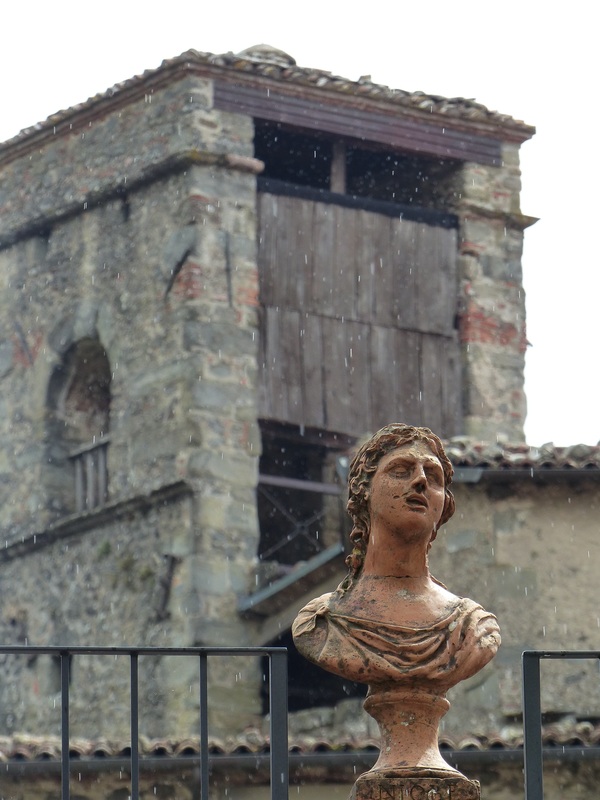 This entry was posted in Garfagnana, Nearby towns and villages and tagged Castiglione di Garfagnana, Garfagnana, Italy, Mountain villages in Truscany, photography, travel by Debra Kolkka. Bookmark the permalink. Wow … another hidden gem. As I walked with you through the vacant streets, I was imagining the activity of years gone by. It must have been a thriving community in its day. I will return at a better time and with a bit of luck I will see a few more people. 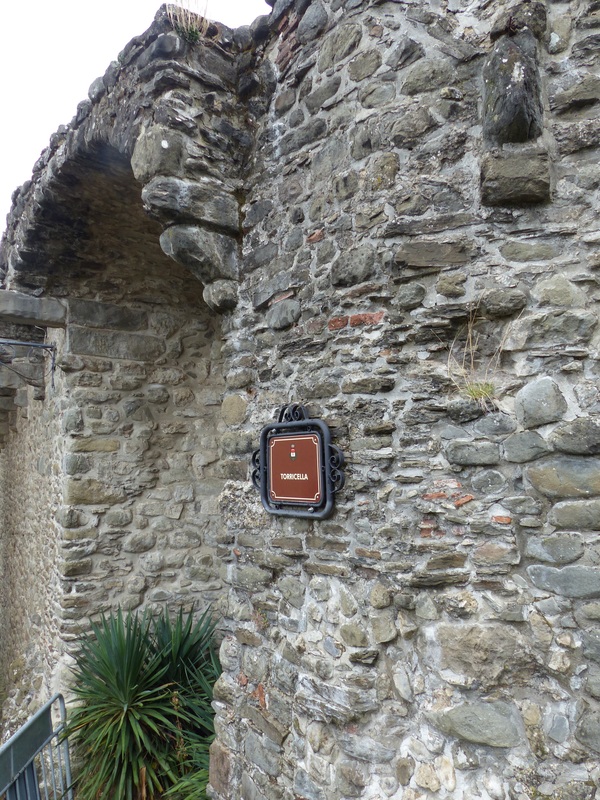 Castiglione di Garfagnana has witnessed and participated in many historical events and wars. It is amazing to see how well it has survived so many ordeals. Perhaps it’s motto, “Fortis et Fidelis ” (Strong and faithful) sums it up. Can’t wait to walk these ancient passageways with you, Debra! Grazie! There is also interesting information on the Web. Enjoy your visit in May! You find the most wonderful places in your travels! There is a never ending supply of gorgeous villages in the area. Been to Castelnuovo but never quite made it to Castiglione. Looks well worth a visit. It is very pretty. It was not the best day when I was there and I look forward to revisiting when it is open. I agree with efrankAngle – it’s almost as if time has stood still. How special. With no modern looking people around, you could be forgiven for thinking you had gone back in time. Please return so we can see more. I will be returning with Victoria to see the town where her grandmother was from. 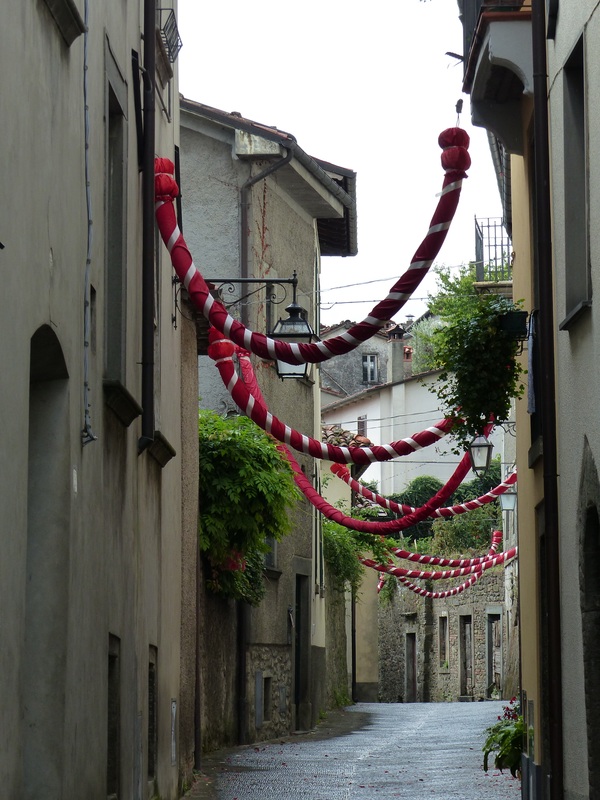 It is one of my favourite villages in Garfagnana. You should visit the fortress, too. I know it is private but if you call you can book it. A big event is the Crocioni religious procession during the Easter celebration, very interesting. Then they do a medieval festival in summer and a great chestnut, truffles sagra in autumn. Thank you Paola. I will try calling ahead next time. Love the emptiness though… You captured it.